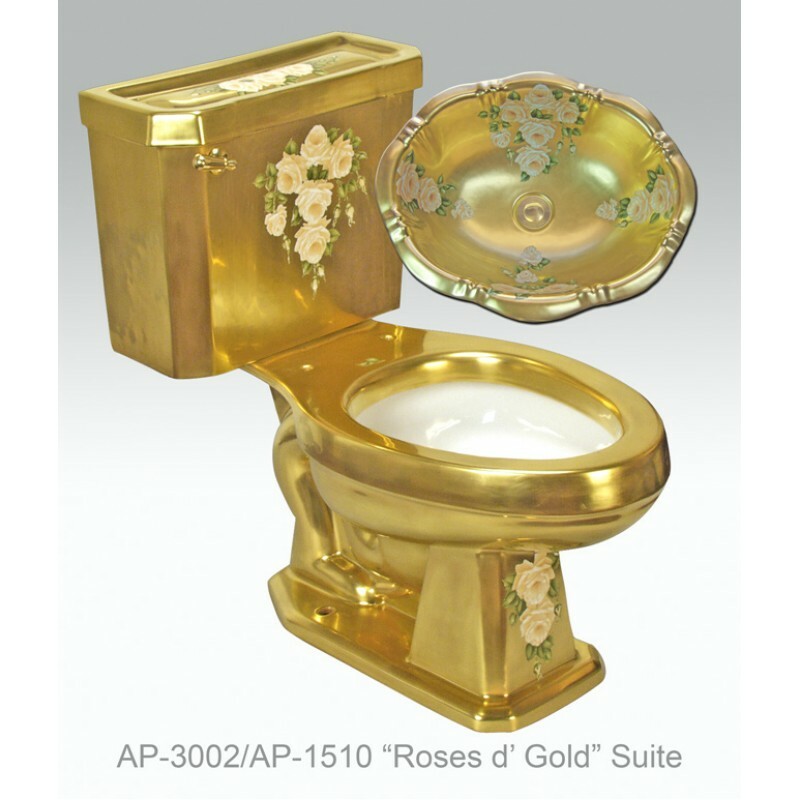 AP-3002 White Arena II elongated front toilet and AP-1510 White Lotus drop in suite with Roses d Gold design. 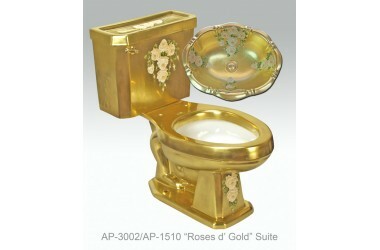 Outside dimensions of toilet 30 3/4" H x 29 1/2" L, 16" comfort height. White Lotus sink outside dimensions 19 1/2" W x 15 3/4" D x 6" Depth with overflow.